An industrial engineer from the University of Buenos Aires, Eduardo has an MBA from the Wharton School at the University of Pennsylvania and a vast work experience in the US, Europe and Latin America in companies such as Booz Allen & Hamilton, Etex Group, and The HSM Group, a global multimedia management company and organizer of the World Business Forum. Before discussing your latest book, a few general questions. First, who has had the greatest influence on your personal growth? How so? I would say Jack Welch has been one of the greatest influences on my personal growth. 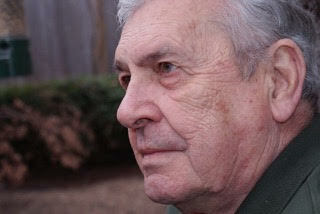 I met Jack during my early 40’s while I was going through the classic midlife crisis. We connected immediately, we shared common interests, we empathized, and it dawned to me he was not just a great leader and CEO but also a remarkable human being. At a time when you question many of your past decisions, this connection boosted my confidence and self-esteem. Jack really helped me as a role model of a human being beyond professional qualities. Who has had he greatest impact on your professional development? How so? No doubt the answer to this question would be Herb Kelleher. I met Herb for the first time at his office at Southwest Airlines’ headquarters. The room looked like the one belonging to a teenager, full of toys, posters, and memorabilia. Herb was cheerful and very open and I was very surprised at seeing such a candid and joyful person leading such a challenging company. Let’s not forget the airline industry in general faces huge profitability problems and frequent Chapter 11s, and Southwest is a company with a low cost strategy. This is an environment where making money is a great miracle; it defies all strategy books so I was very intrigued by this man that could lead a company against all traditional strategic paradoxes. One of my first questions for Herb was what was the secret of his success. With out hesitation he answered: the people, the attitude of our employees is without doubt our key competitive advantage. When compared to my own background, which was one based on hard variables, engineering, marketing, and strategy, meeting Herb opened up a whole new area in my mind focused on people and culture. Many years ago, just months after joining the management multimedia company where I was in charge of developing its online business, and a little by chance or serendipity, I ended up conducting my first on-stage interview with Michael Porter during one of the company’s largest events in Buenos Aires. I enjoyed it so much and it went so well it slowly, but steadily, became my new profession. This is a very interesting question. On one side I’d say my background as an industrial engineer was very important to feed my natural curiosity and develop the need to understand why things work the way they do. Then the MBA added marketing and strategy to my background which are also very important to understand the “business as usual” as I call it in my book; the basic drivers of organizational performance. From my experience in managing businesses, all this has been very important to understand management and leadership. In addition to formal education I’d say there are other traits and experiences, related to conducting interviews and writing books, which have been as important. First of them all, my personality: from early childhood my sisters called me “Curious George” as curiosity ran through my veins. As a grown up, over 10 years or psychoanalysis also helped me understand what you mean when you say certain things, learn how to listen and give value to words used, in conclusion, develop empathy. I love this quote. People often ask me if my five key roles of a leader are “new”, or if they change with Millennials. My answer is always the same: these principles are as old as the human race; what changes is the context and the general values of societies. But people always need a purpose, and a leader taking care of them. Great quote! The key to science is not to find the answer, but to identify the problem or challenge. There is a great story of Isidor I. Rabi, Nobel laureate in physics. When asked why he became a scientist, his answer was: “”My mother made me a scientist without ever intending it. Every other Jewish mother in Brooklyn would ask her child after school: ‘So? Did you learn anything today?’ But not my mother. She always asked me a different question. ‘Izzy,’ she would say, ‘Did you ask a good question today?’ That difference — asking good questions — made me become a scientist! Leadership is the ability to somehow change reality, with the people and for the people. How do you want to change reality is definitely the first step. But to move people behind that goal is a necessary second. If you can’t drive people behind your vision, you are just a dreamer, it stays in your mind, it’s hallucination. With regard to Thomas Edison, let me share a thought: I always mention him as an example of decision-making. There is a decision-making science that studies how to frame and make “the best” decisions: it involves operations research, scenario planning, risk models, and many information-related tools that are undoubtedly very useful. But decision-making in a leadership role relates to a different concept. On one side, it involves putting in place a decision-making system to –in the words of Henry Mintzberg—“stimulate a process in which other people are taking effective decisions. 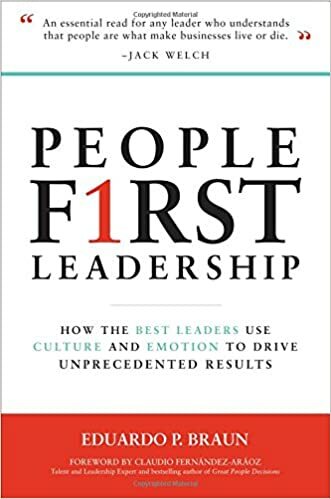 This means that what they really do, what I believe is more important, is creating a system, a structure, a philosophy or a culture that allows people to make the right decision.” This has a profound effect in stimulating people’s self-confidence. Additionally, leaders need, from time to time, to intervene in that process of empowered decision-making to take critical decisions. In those cases, it is very important that the leader takes “his decision”, not the best decision, meaning the one that reflects his core values and purpose. Going back to Thomas Alva Edison, after 1,000 failures attempting to create the electric lightbulb, could anyone argue that trying one more time is a “good” decision? Of course not! But it was his decision. The decision that represented him, his beliefs, his purpose and dreams. Nelson Mandela, no doubt. Getting to know a man who was imprisoned for more than 27 years, and then changed forever the history of racism and apartheid in South Africa. What happened during those 27 years in prison? What were his thoughts? Did he have plans? How did he avoid hatred? So many other questions come to my mind to get to know this unique man deep inside. Resistance to change is part of human nature, usually when there is fear of losing something, or of being worse off people change. But if you propose a dream, if you inspire a sense of purpose, if you show what you are trying to achieve and that this goal brings benefits to all team members, then, I believe, people will follow and you’ll have the desired change. Recent research indicates that, on average, less than 30% of employees in a U.S. company are actively and productively engaged. The others are either passively engaged (“mailing it in”) or actively disengaged, undermining the success of their organization. How do you explain this situation? What’s the problem? Since the Industrial Revolution the focus has been on organizing resources, job processes, and job descriptions to enhance productivity. Given those premises, human beings were seen as “walking tools” in the case of hand-labor, or “walking brains” in the case of professionals and knowledge workers. You were expected to show up on time, and do as you were told! This has been very useful to achieve mass production and mass consumption, and in exchange, workers were able to earn enough money to buy food, shelter and clothes, and the so-called consumer products. That was certainly enough for the post-war generation, because their point of reference was the horrors of war. One generation passed and now people want much more than just job security and minimum income. New generations assume they are entitled to this. And organizations have been very slow in providing something else. As a result, people feel disengaged. Companies need to deeply identify and understand the purpose of their organizations. That the goal of a company should be just maximizing value for their shareholders is an economism of the ‘70s and ‘80s, and a reduction to one simple dimension. I believe companies must create value for society through their products and services, while simultaneously creating the conditions for human and professional development for their employees and stakeholders in general. To do so, they must define their purpose and constantly communicate it to all employees, they must care for each one of their collaborators, they must develop a sense of community, a team spirit, they must foster pride and other positive states of mind. The result of this genuine, though not easy process, is highly engaged employees.